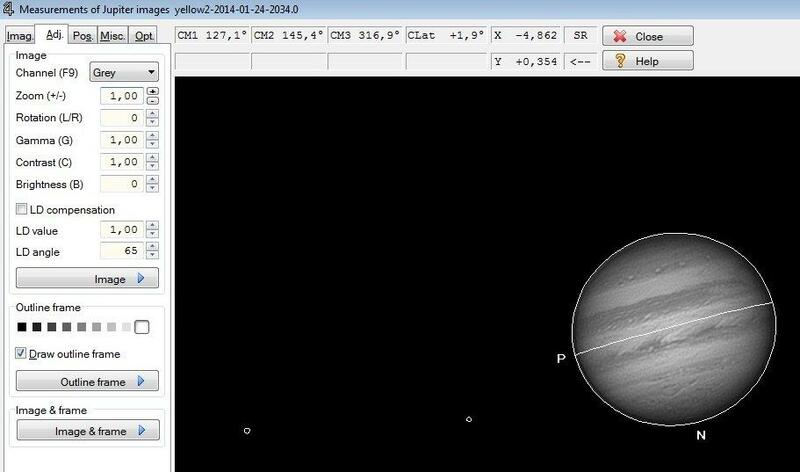 I've published on Dropbox Jupiter AVIs from last night. They are cut with Castrator to limit size (and to make them ready for stacking). My results can be found in the gallery and there are rooms for improvement in stacking or processing. The best AVIs is the yellow channel. Further away from it the less clear/detailed the final image seems to be. To make RGB/XRGB images I used WinJUPOS as there is quite a big time difference between the AVIs (as I used slow PGR Chameleon to record them). Recording was made from 21:11 til 21:34 local time 24.01.2014. GMT is -1h for it. Jump in and try to process the AVIs, share the result.